When I was a little girl, I had dreams of being a dancer. A professional dancer. That’s all I wanted. My childhood bedroom was full of dance posters, and pointe shoes, and pictures from years and years of recitals. I naturally knew that I wanted to go to college to study dance, and then from there go on to audition all over the country and the world to dance with professional companies. During my undergraduate years at JMU, all of that changed. And suddenly. June 19th, between my sophomore and junior years, I was involved in a really bad car accident. I suffered extensive injuries, and the doctors didn’t know if I would make it through the first night. But, I did. Fast forward, and now, though the majority of my upper body is rebuilt with titanium, I was able to dance. I finished JMU, ready for the next step in my adventure. But at an incredibly young age, I had to make the decision to switch my train of thought, to re-evaluate what my life meant as a dancer. I can still dance, and I do nearly every day. I teach dance to students that range in age from 7 - adults. I choreograph and direct an amazing company of dancers, RVA Dance Collective, who keep me inspired everyday. I am setting work on some of the most talented youth I’ve seen in this city and beyond, at Center for the Arts in Henrico, and the Specialty Center for the Arts at Thomas Dale and Trillium Performing Youth Company in West Virginia. I’m not done dancing yet. When I moved to Richmond, I immediately jumped into working in the arts nonprofit sector. My first job was at Richmond Ballet. And then from there I went on to work at VCU, and Virginia Museum of Fine Arts. I knew somewhere inside of me, that learning the intricacies of the nonprofit sector, would keep me relevant in the arts industry. And I also knew that my clock was ticking in terms of the physical limitations the car accident put on my body. And then, there was Dogtown. I will never forget the night Rob Petres, former Artistic Director at Dogtown, and dear friend and mentor of mine, invited me to dinner to “chat.” When he offered me the position, I was floored. Confused, excited, but ready. I accepted pretty much on the spot, and started making the necessary changes in my life to go on this new adventure. Dogtown is everything to me. Watching the tremendous growth we’ve seen over the last three years since I became Director, I have truly come alive. 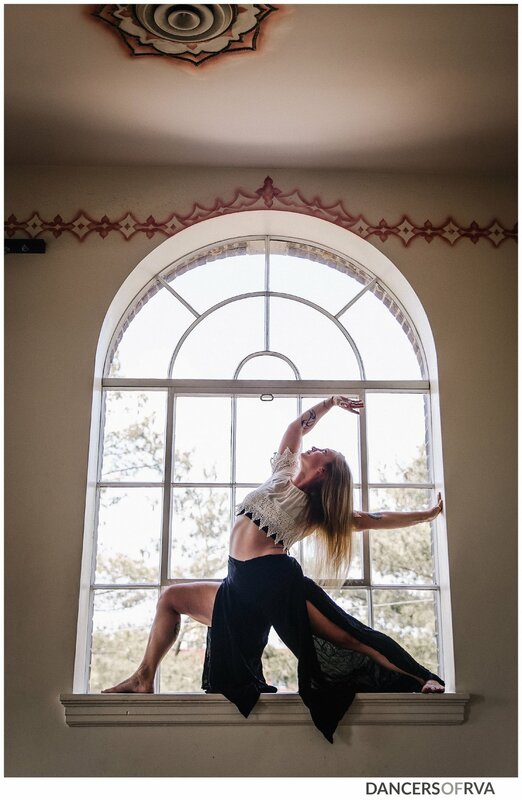 The same ferocity of spirit that got me through the car accident filled inside of me, and I knew I was going to do whatever it took to make Dogtown successful, and something amazing for the dance artists in this community. Now, we have a year-round program dedicated to providing RVA artists with the resources they need to be successful. And everytime I see a new instructor fill a workshop, or a young company shine on the mainstage at Dogtown, I see my future. I know that even when that expiration date does hit, I will always be able to dance. Dogtown, and the artists that fill that space with so much love, energy, and spirit, will keep me dancing forever. I want to thank all of the artists that make Dogtown so special. Their art, their creative spirit is what will allow me to dance forever.